Donated by William and Daniel Forsberg in honor of family member and local resident, Samuel Lamb. Six acre parcel of very diverse habitat. 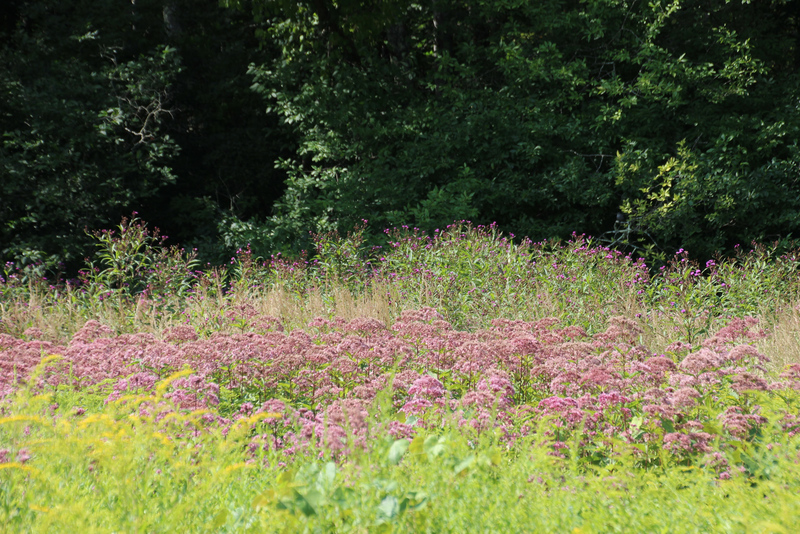 Dry field supports grasses and wildflowers, wet meadow has rich mix of ferns and tall stands of Joe Pye weed and Ironweed and Goldenrods attracting numerous butterflies and other pollinators. It is bordered by Williams Brook and shrubby wetlands which supply abundant native berries for birds. The Connecticut listed blue-winged warbler can be found there, as well as Baltimore orioles and Eastern towhee. It will be managed to preserve the open meadow habitats. Abuts Town of Ledyard open space. Trail is simple…no map needed. Mission: We preserve natural habitats in southeastern Connecticut by acquiring and protecting lands, and communicating the value of these irreplaceable resources.